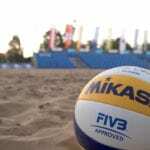 Tandem Sport has been manufacturing and distributing quality volleyball, sports medicine, equipment, and training devices to the sporting goods market since 1989. 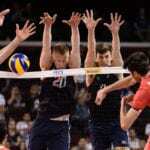 One of their innovative products is the Volleyball Pal Training Aid. 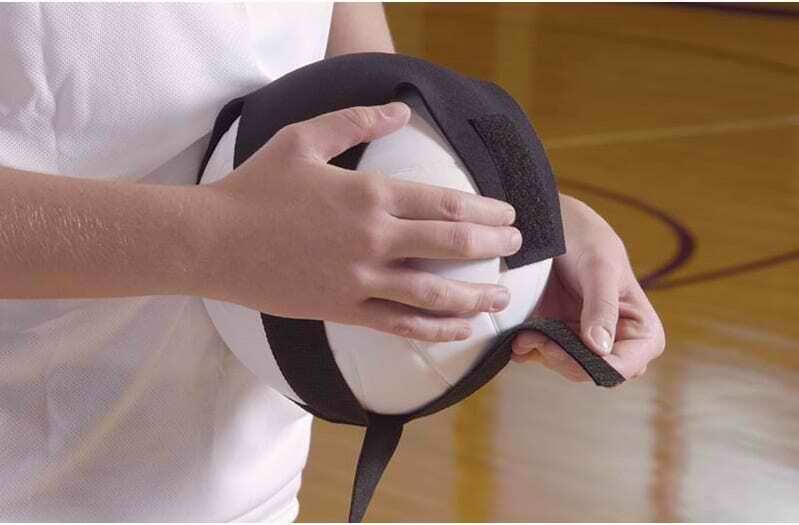 The Tandem Sport Volleyball Pal Training Aid is perfect for beginners and intermediate volleyball enthusiasts. 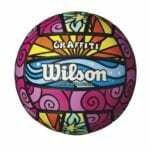 It is a useful tool which allows you to practice without having to chase the ball or asking someone else to chase it for you. With the Tandem Sport Volleyball Pal Training Aid you can practice serving tosses, underhand serves, overhand top spins, overhand floats and arm swing techniques. This convenient and innovative training aid consists of a strap that secures around your waist, a neoprene pouch to hold the ball and an elastic cord connecting the waist strap to the ball. 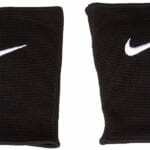 The elastic strap guides the ball back to you, so you can practice on your own. The elastic cord is adjustable to avoid the ball hitting your face when it shoots back at you. 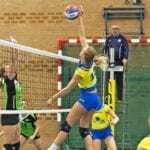 The Tandem Sport Volleyball Pal Training Aid is indeed a great practice tool for anyone wanting to improve their serving techniques and abilities. 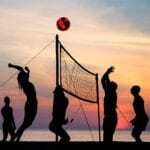 This volleyball training aid is perfect for young boys and girls who want to try out for the school’s volleyball team. 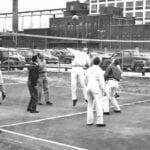 It is also great for those who are learning to judge the height of the toss and properly connecting with the ball. In addition, your practice will not be interrupted during the winter season because you can practice inside your home without breaking anything, as long as you have a high ceiling. The cord is adjustable but not quite long enough for some users making overhand top spins and overhand float difficult to perform. 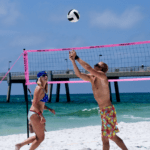 Overall, the Tandem Sport Volleyball Pal Training Aid helps develop proper serving technique and ball control without having to chase the ball. 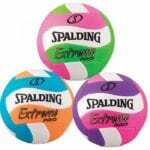 Its Velcro strap secures snugly around your waist, the Neoprene pouch firmly grips the volleyball, and the smooth return action of the elastic cord guides the ball back to for an effortless solo practice session. 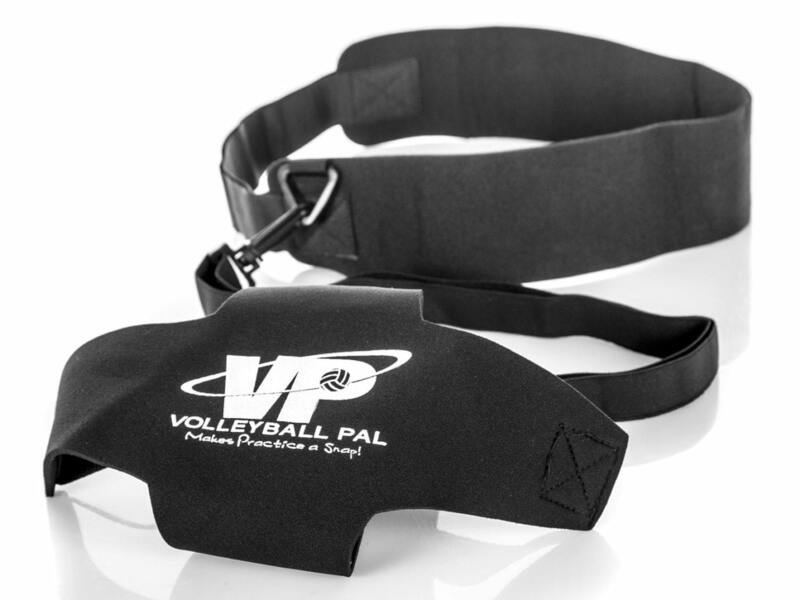 No more chasing volleyballs with the Tandem Sport Volleyball Pal Training Aid!